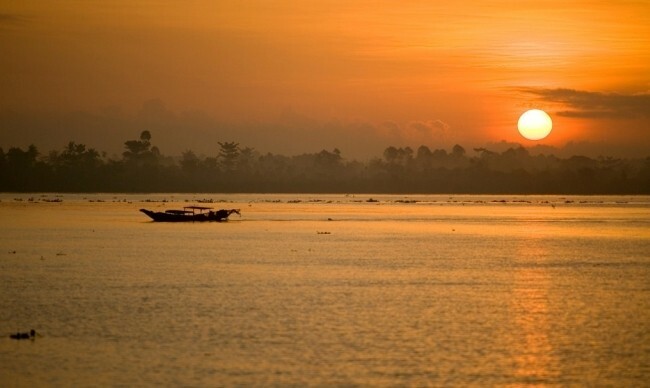 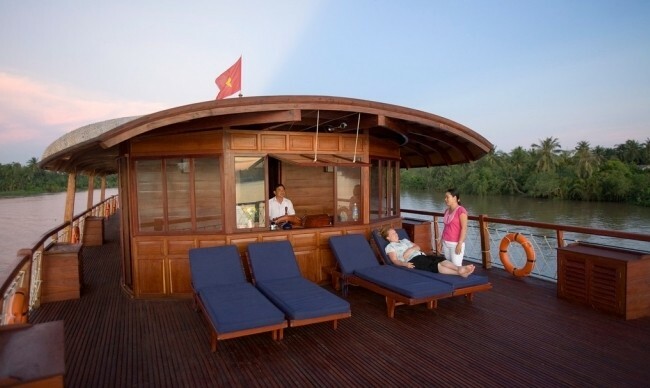 Upon the journey across Mekong Delta with Bassac Cruise, tourists are free to enjoy the fascinating setting along the banks of Mekong River from the deck on board and join interesting visits to the sites in the itinerary. 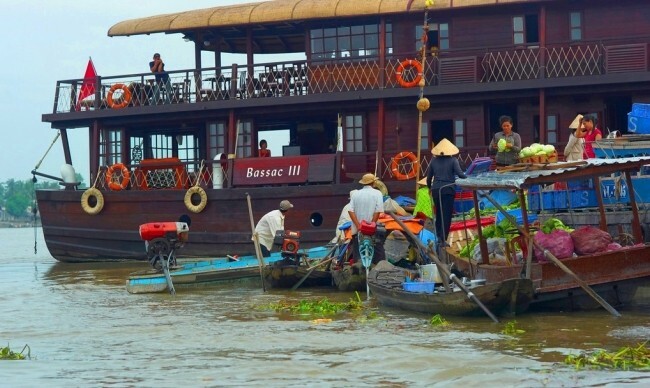 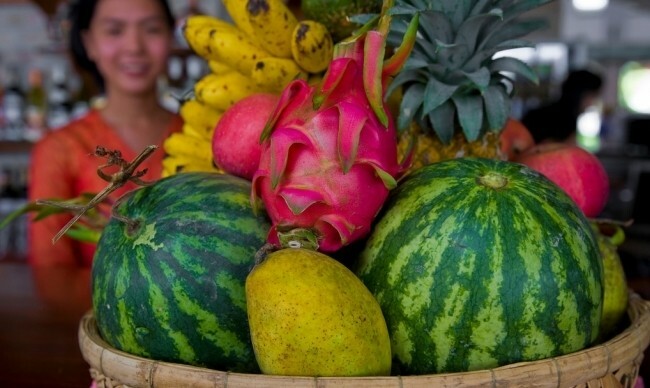 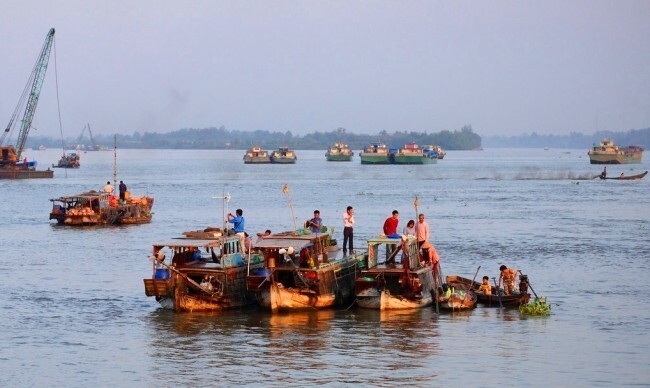 You can explore the famous floating markets of Tra On and Cai Rang, visit some villages and tropical green orchards there to experience the daily life of the local; or take a sampan ride to discover the canal network of Mekong Delta. 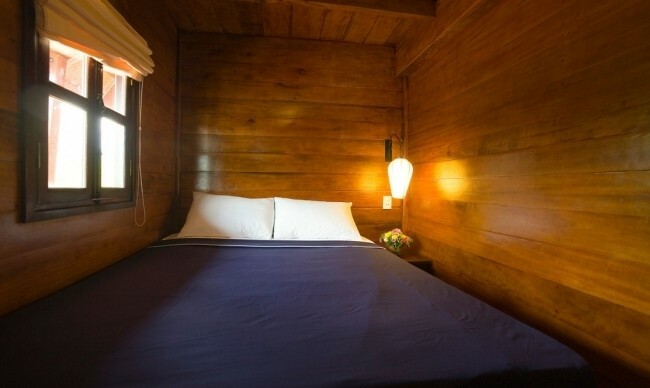 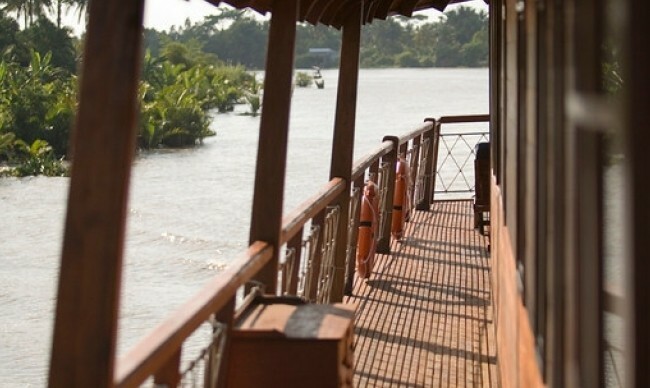 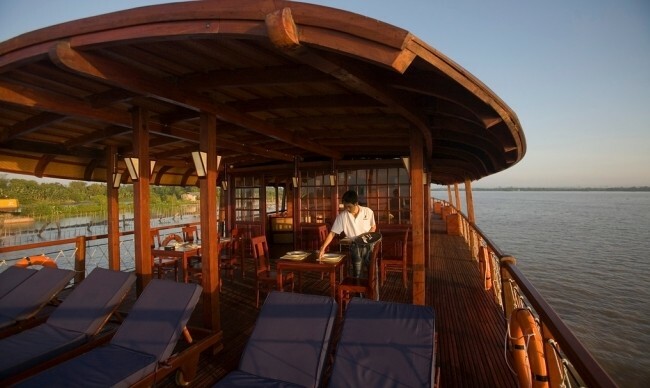 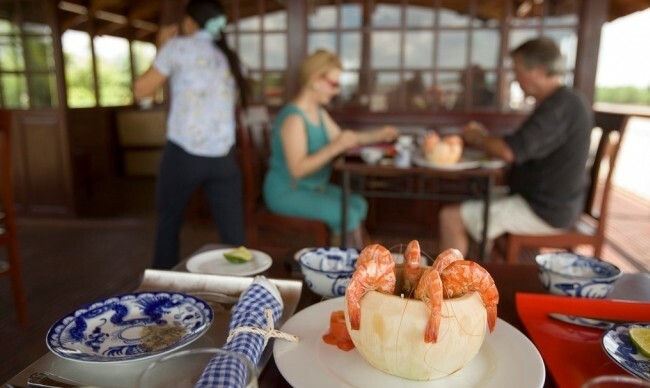 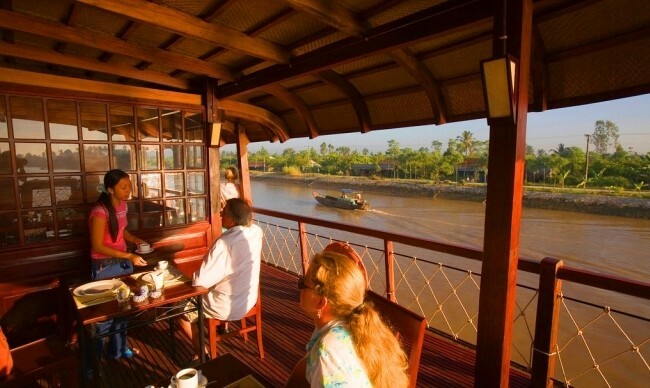 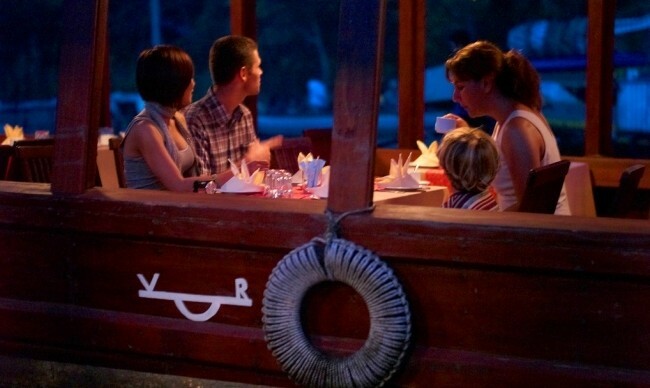 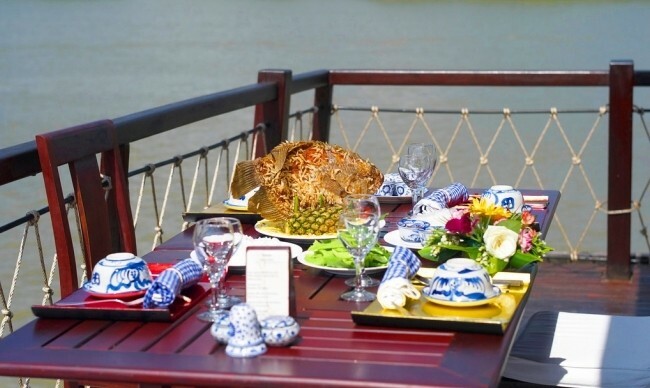 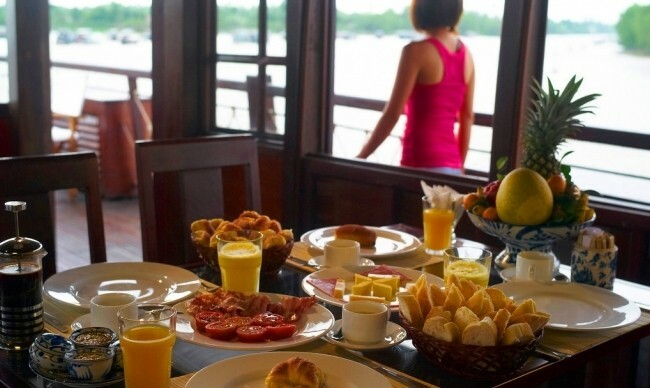 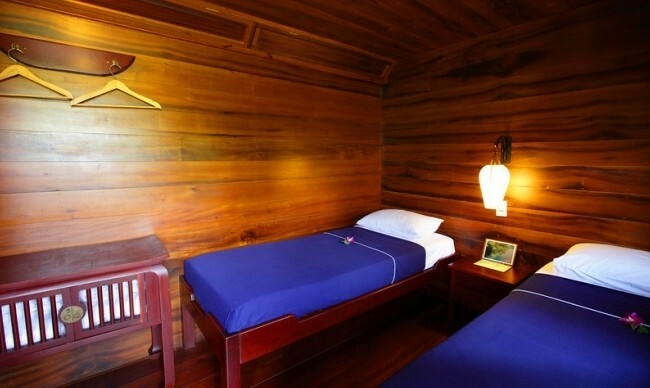 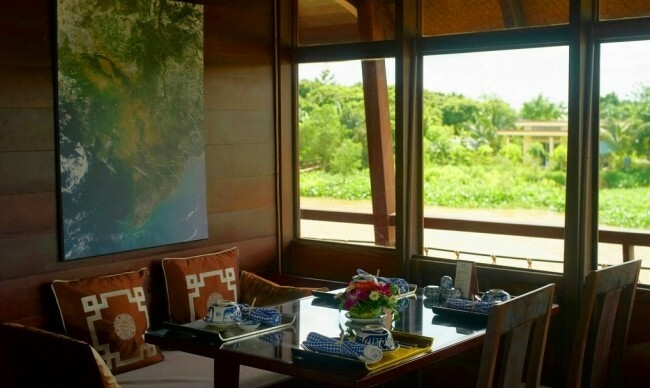 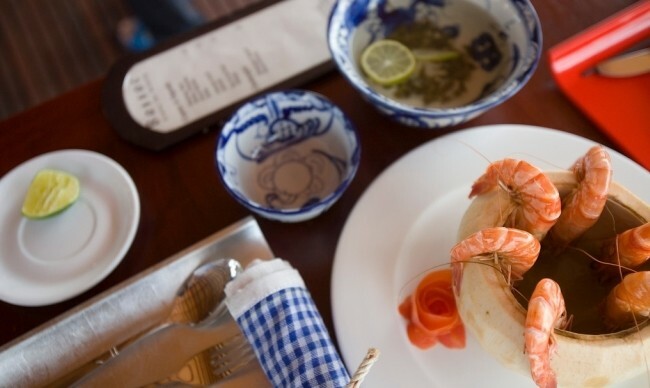 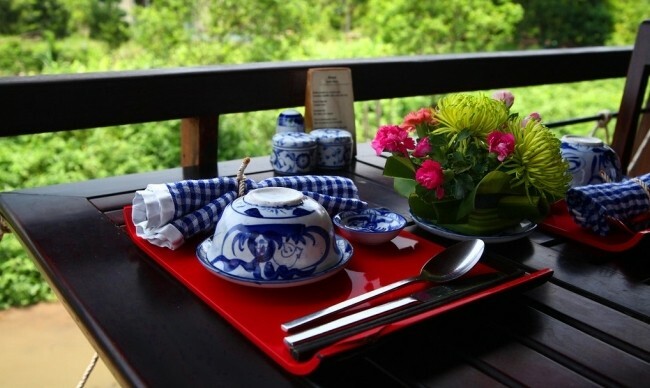 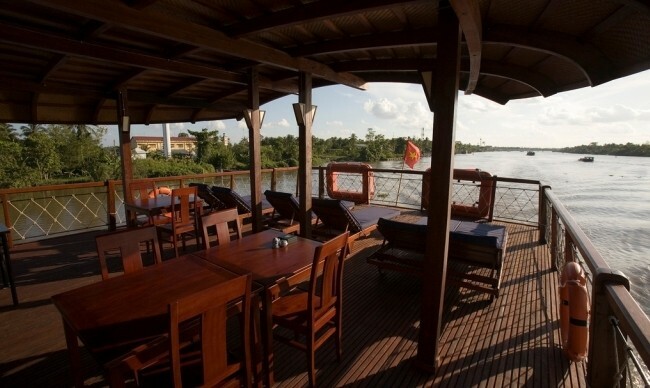 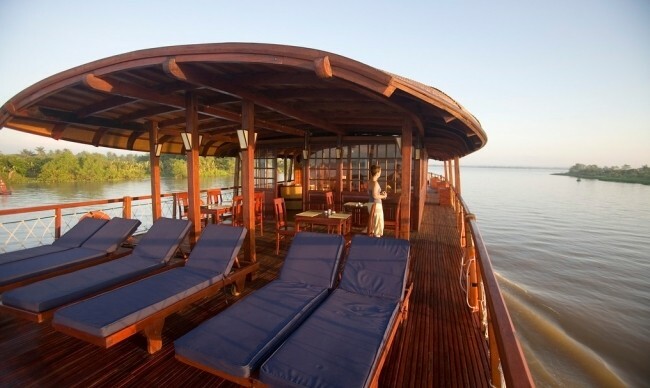 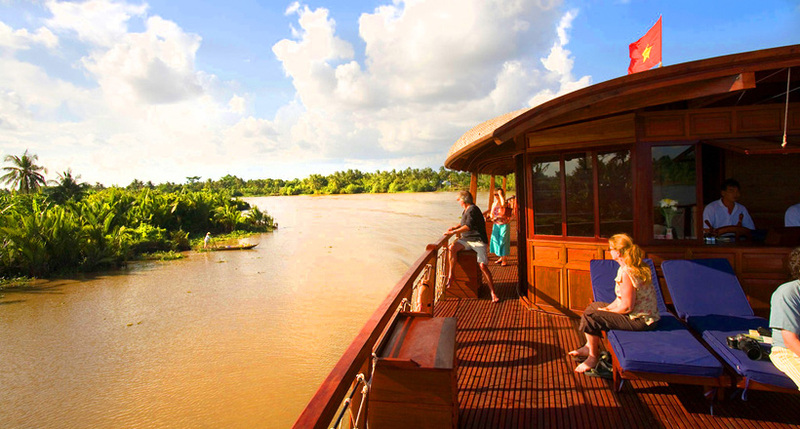 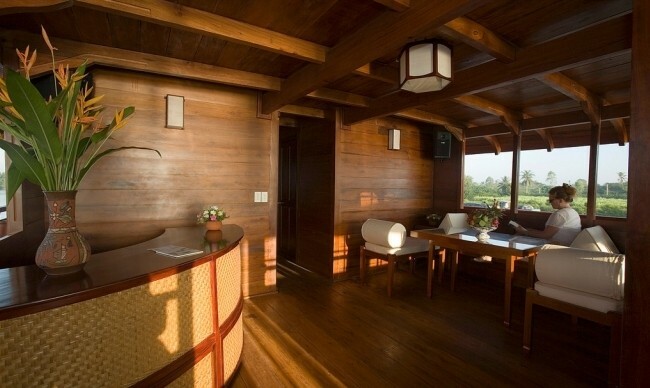 Enjoy the fascinating setting along the banks of Mekong River from the deck on board. 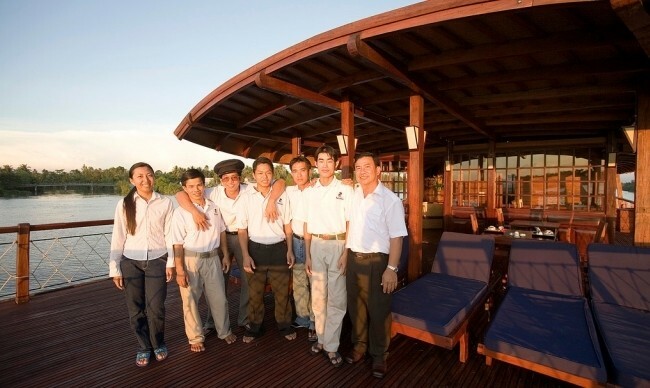 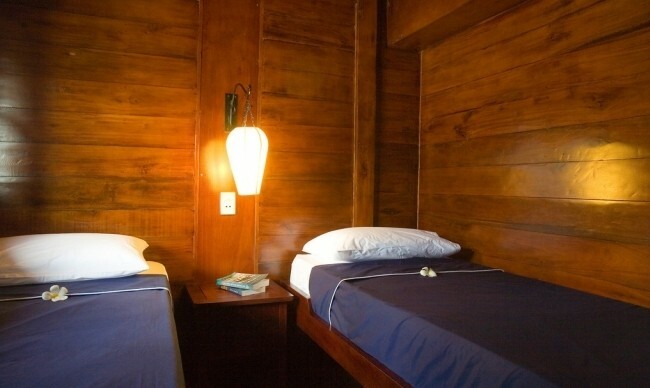 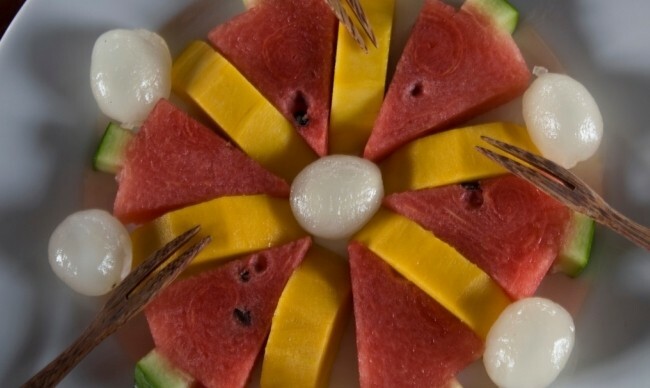 Experience the way of life and the hospitality of the local inhabitants. 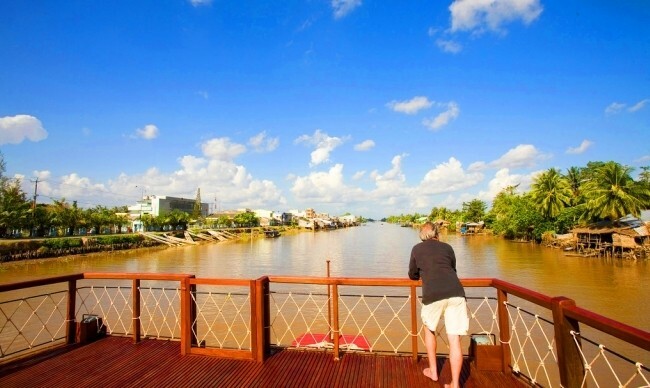 Visit the floating market of Tra On and Cai Rang, a village on the banks of Mang Thit River, the orchard or rice fields nearby. 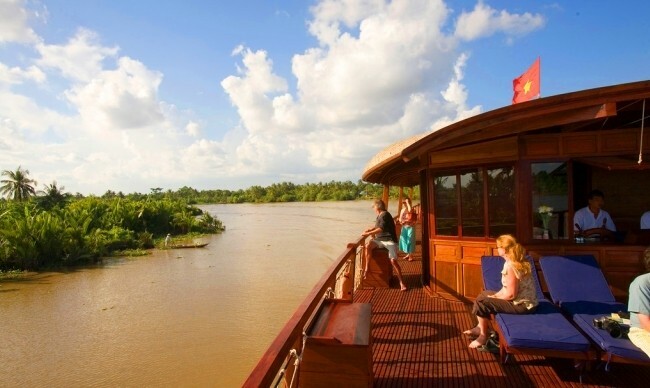 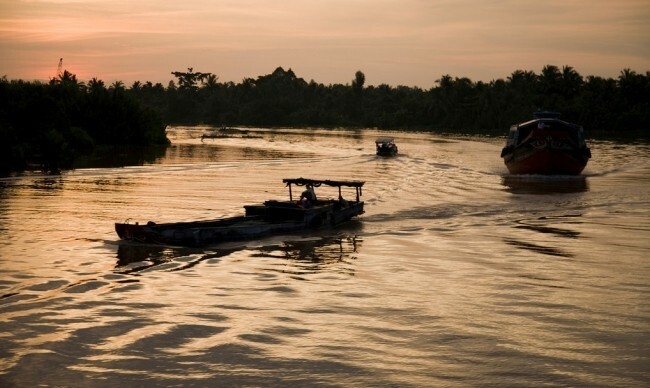 Have a local boat ride to explore the arroyos and gardens of Mekong Delta. 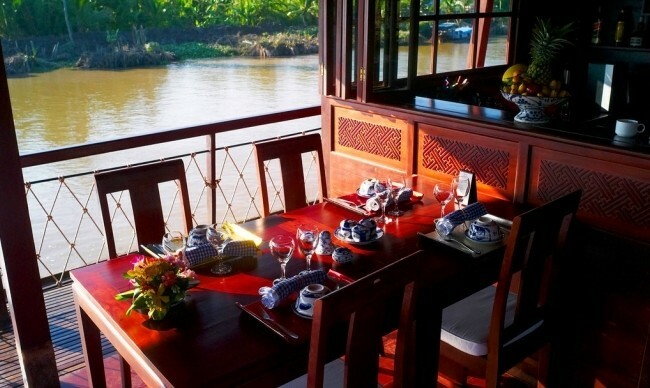 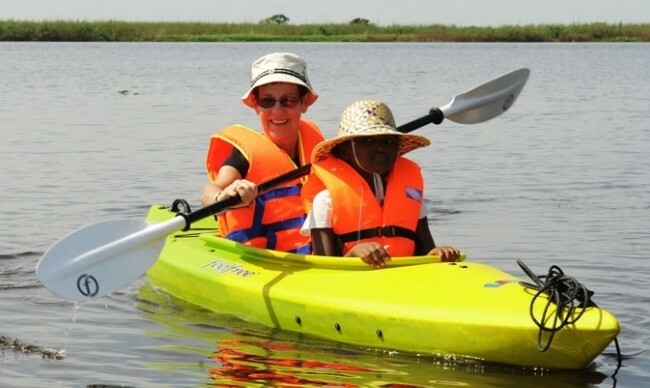 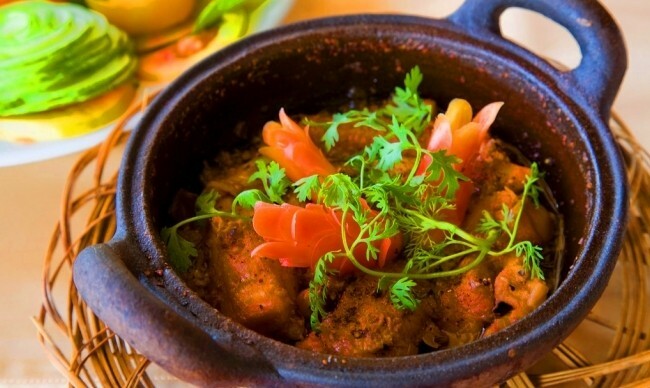 Activities: Visit a village on the banks of river Mang Thit, the orchard or rice fields nearby. 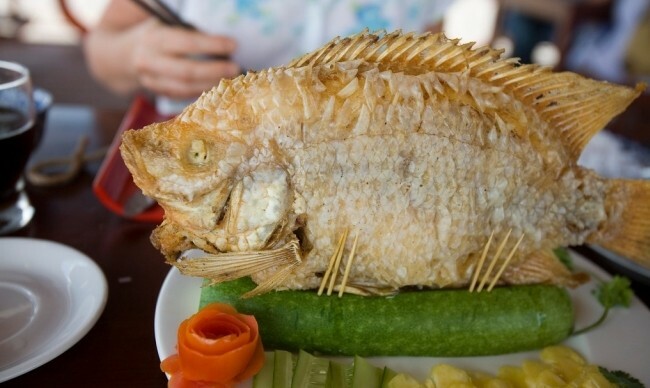 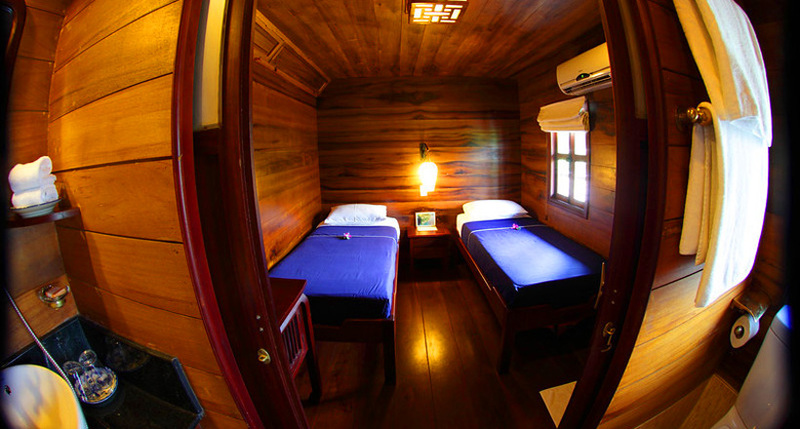 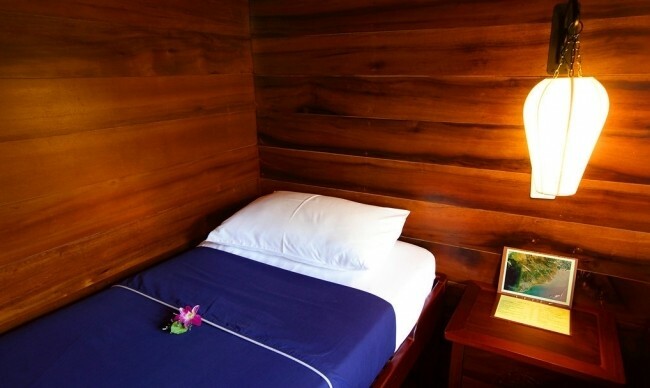 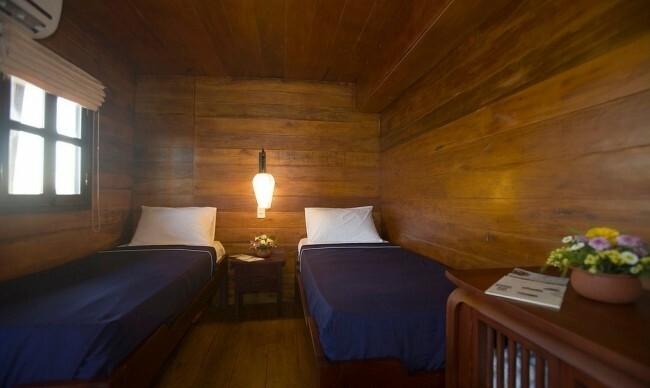 Pick up at 08:00 AM from your hotel in Saigon and drive to Can Tho. 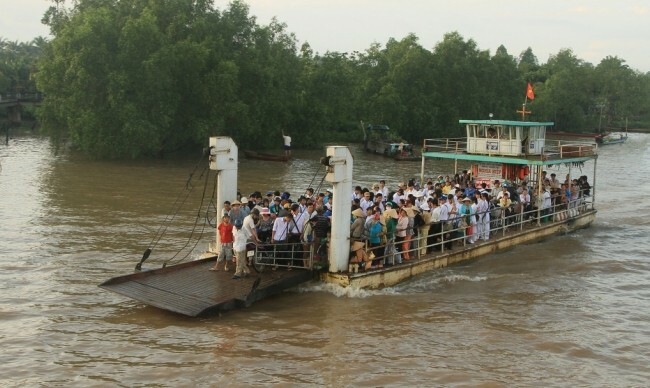 Boarding at Can Tho at Ninh Kieu pier. 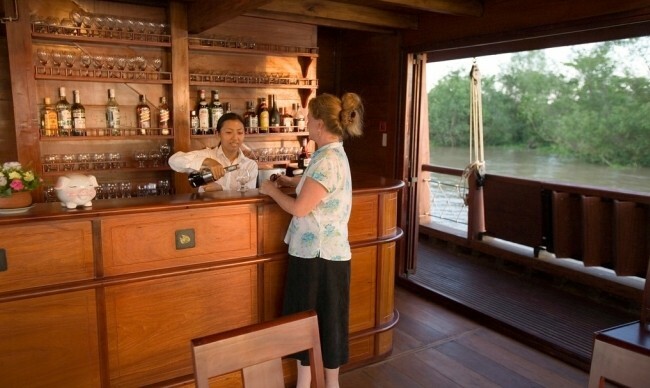 Welcome drink, introduction to the ship and crew, check into the cabins. 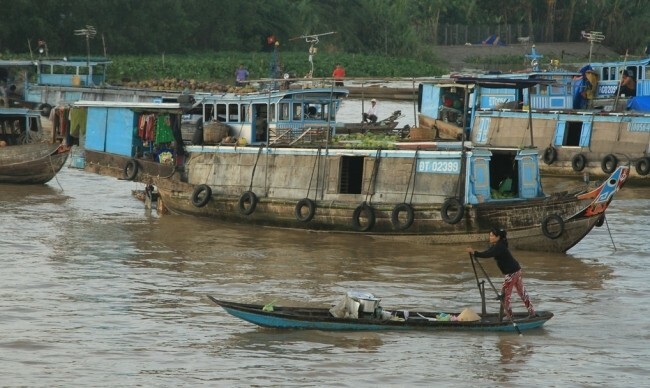 Departure downstream of the Hau river. 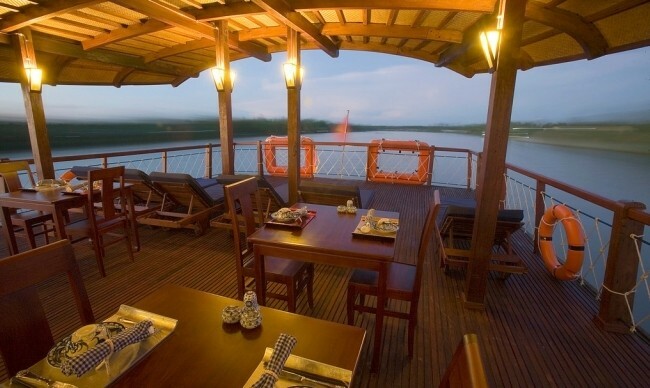 Lunch on board while en route. 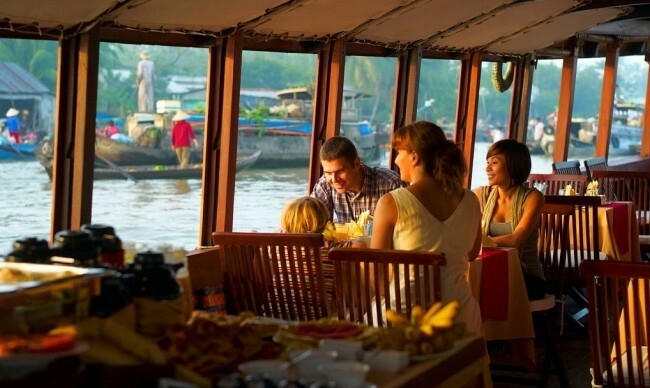 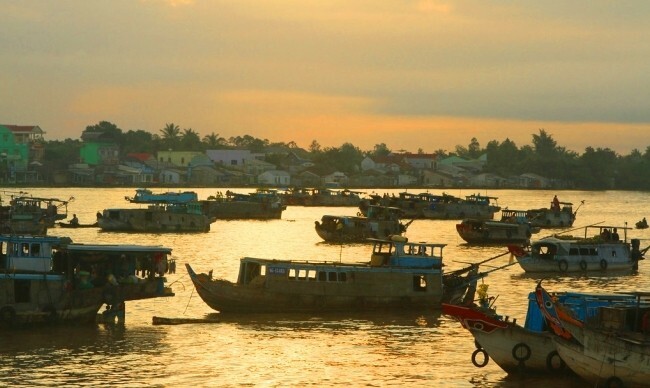 Activities: Have a local boat ride for a tour of Cai Be floating market and handicraft. 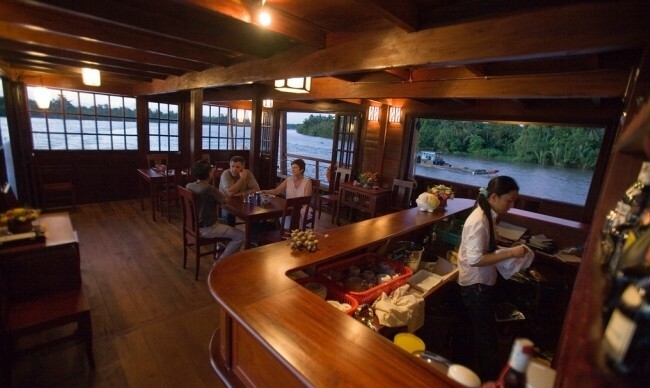 End of services by mid-morning on shore at Cái Bè. 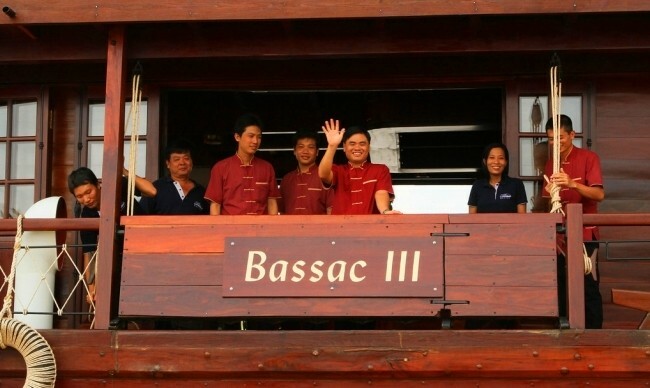 Please note you will leave the Bassac for good upon boarding the small boat for the last visit, typically about 8:30. 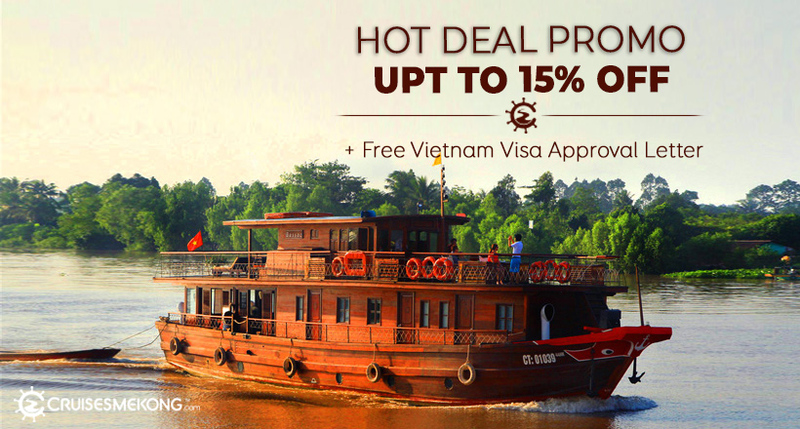 For booking this cruise, You just need to deposit 30% total of the price (easy and secure with ONE PAY payment system). 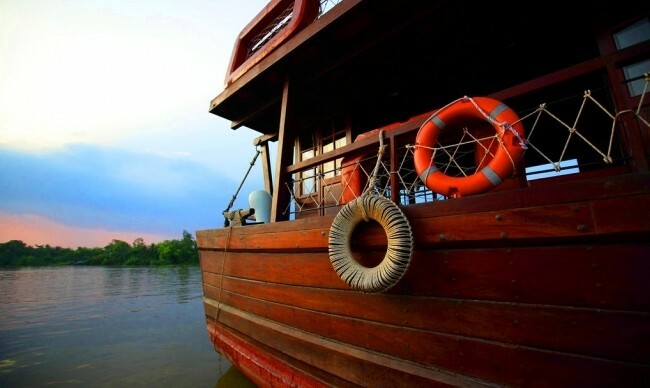 The remained balance will be paid 45 days prior of departure.